A town so emblematic that every time anyone in TV or film wants to portray the outback they head straight to Silverton. Having Mad Max’s Interceptor parked out front of the Silverton Hotel reveals how readily the town wants to cash in on its celluloid ubiquity. 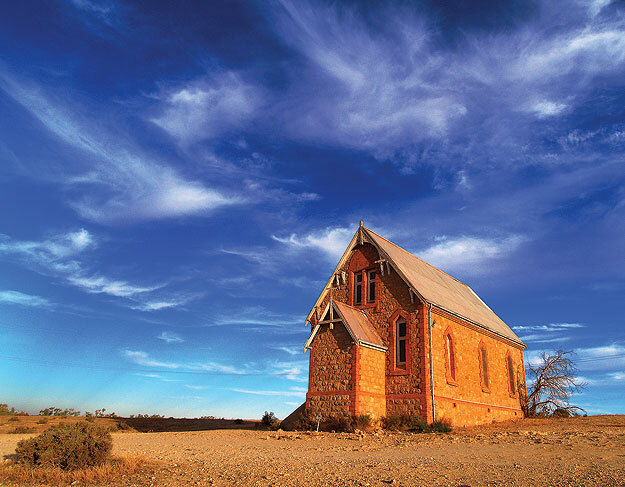 Silverton peaked as a town in 1885 when the discovery of silver lit the beacon for speculators and miners to follow; once the bigger deposits around Broken Hill were discovered, the population ebbed thataway. The whole experience of being in Silverton is frankly surreal. Solitary, small historical buildings occasionally pierce the red dusty landscape over an area equivalent to several football fields. Most of the buildings are now empty, but those in use are well worth a visit. There are several art galleries; out front of Peter Browne’s gallery you’ll find the painted VW beetles. The Gaol and Courthouse has a fine collection of relics and documents. Silverton is usually referred to as a ghost town, but this is a bit insulting to the 50 or so permanent residents who rely on visitors. Just north of Silverton is Mundi Mundi lookout, which provides an absolutely stunning vista of the flat plains that continue from that point until they fetch up at the Indian Ocean in WA. Where? // 1140km (15hrs) west of Sydney, 530km (6hrs 45mins) northeast of Adelaide. Did you know? 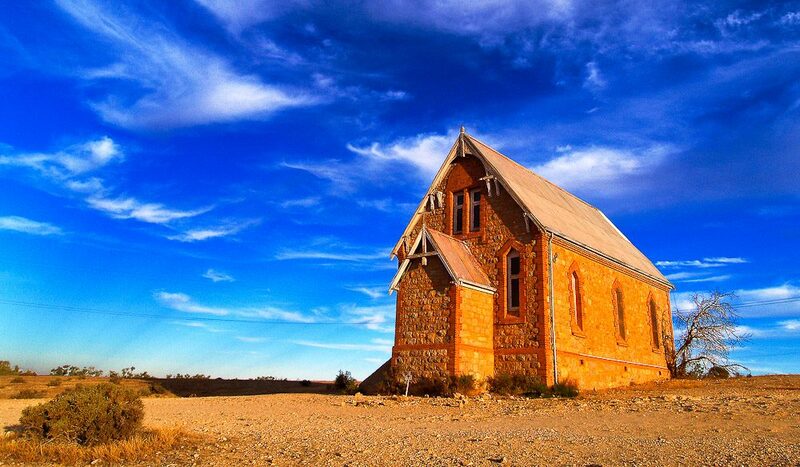 // While BHP may carry the Broken Hill name, the company is reported to have been formed in the Silverton Hotel in 1885. The Silverton Gaol Museum has a document that shows one of the original founders of the mining giant sold his stake for 10 steers before the extent of the find was known.